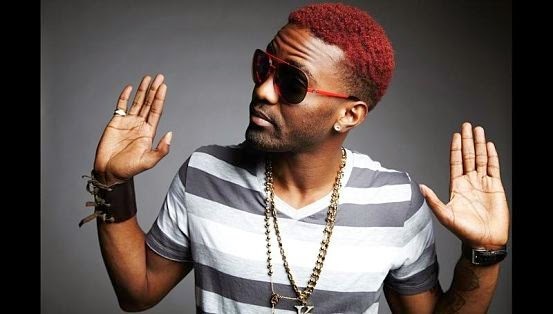 Few hitmakers in the modern dancehall approach the craft with the fierce lyricism, wide-ranging topical diversity and creative risk-taking like Konshens, whose fearlessness in addressing potentially controversial matters defines his best work. On this new single, the ace deejay posits some sage and life-saving advice about due diligence and street smarts in the face of backstabbing friends. In the end, he effortlessly reacquaints us with his assured delivery and deft handling of a brisk beat. "Good girls are nice, but bad girls entice," coos fast-rising chateuse Stephanie on this steamy standout from her 2013 EP of the same name, which makes a compelling case for her mean skills with the pen and knack for producing vocals with a fab balance of flair and piercing quality. Think the song packs heat? You should see the piping-hot video. Marking one of the meekest releases of still-young career, Martin's reflective jam announces a modest departure from his regular themes of girls and the good life, opting instead to spotlight that all-important meditational relationship with the Most High, and the art of rising above trying circumstances for want of a better life. > Nickeisha Barnes makes a heartfelt petition on "Reach Out," the first single off her November-due EP, Layers of my Soul. A spare, soul-searching gem. > Dancehall soulstress Cherine, who last year heated up dancefloors with "Haffi Come Back," returns to form on the brash "Wah Dat Fah," a summer sizzler as notable for its in-your-face contours as for its sheer cockiness.